When you are a teenager, saving money and taking personal loans does not come on top of your priority list. There are so many fun things you want to try out and any little money you get is quickly spent even before it reaches the pocket. Once your teenage life is over, that’s when you realize the importance of saving money. Then, you start wishing how things would be better if only you had saved some money as a teenager. Well, to help you avoid making the same mistakes that so many other teenagers make; here are handy tips to help you save your money and start preparing for your adult life. Though retirement might seem to be ages away, you need to start saving for it at this moment. Don’t be fooled by those who say that you should start planning for your retirement when it’s only a few years way; the right time to start saving and take any personal loans if need be is now. Saving 10% of what you are getting today will translate to so much money 30 years down the line. Bear in mind that your savings will fetch an annual return of 8% which is quite a tidy sum when you compound it in all those years. Instead of using your money to buy take-away food which is mostly junk, why not learn how to cook for yourself? This will not only help you to save money, but you will also end up eating healthy food. Furthermore, contrary to what you have been led to think, ladies love men who know how to cook! A lot of teenagers would choose a flashy first car instead of going for one which is dependable. This is because of the fact that when you are a teenager, outside appearances matter more than quality. The fact is that buying a flashy car is not only expensive (both to buy and maintain) but it is also prone to more breakages and has a high risk factor (when you factor in its power). Instead of going through all this, choose a fuel-efficient car which is dependable and several years old. Save for the flashy stuff later in life. You would do well to learn how to use a computer spreadsheet to track your expenses and savings. A good way to budget your money is to list down your income and expenses in a spreadsheet. This way, you will be able to pin down your spending habits and also see which expenses you can do away with. A spreadsheet will go a long way in helping you manage your finances and save you a lot of time as well. I know it’s very hard for you to compromise your freedom and social life by living with mom and dad but I assure you it is the best decision to make. This is because of the fact that when you are living at home, you don’t have to be concerned about paying rent, utility bills and food expenses. 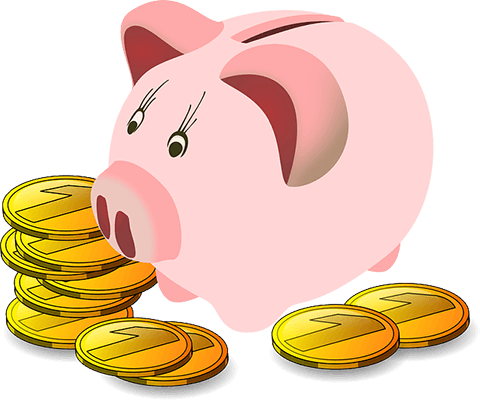 Therefore, you can end up saving a lot of money since your expenses are on the low side. Later in life when you are financially free, you can engage in all the social life you want and nobody will so much as raise a finger at you. By then, even your credit score will be looking good and you can even take personal loans to enhance your lifestyle.